Undergraduates frequently find the fine Old English poem JUDITH the most stimulating of the surviving texts from the Anglo-Saxon period. In the past thirty years it has attracted a wide range of literary criticism both in the UK and the US. Feminist critics of English literature have been particularly interested by the ways in which the poet has adapted the traditional masculine heroic ethos of Old English poetry to a story figuring a violently active female protagonist.Yet there is no available edition of Judith which is either comprehensive or up to date, or which at all explains how and why the poem is worthy of our attention. This new edition aims to fill this gap. It includes a full Introduction and commentary by the editor, plus a comprehensive glossary, bibliography and appendices. Mark Griffith is a Fellow and Tutor in English at New College, Oxford. We have here a Judith edition for the twenty-first century, and fortunately it is a good one. This is a fine, full edition of a splendid Old English poem; and if Griffith had definitively solved every conceivable textual, critical, and literay historical problem, it would in a way be disappointing. 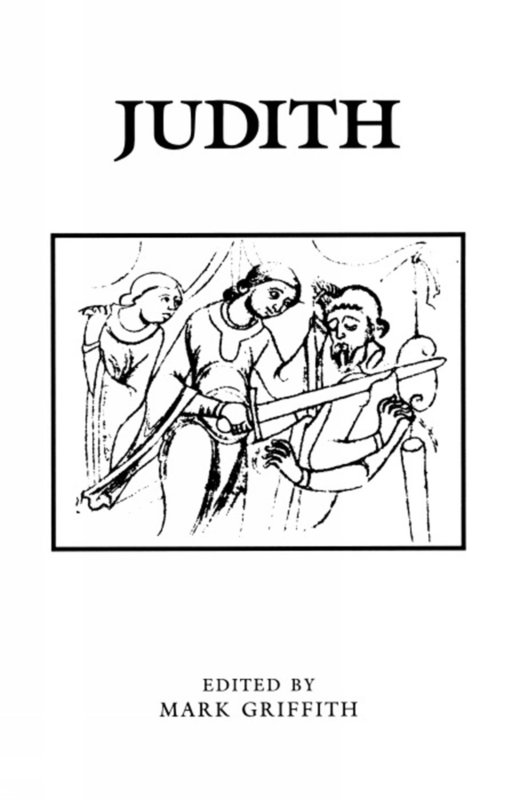 As it is, we have a new edition of the poem to read and work with, and a new generation of students can read Judith with more enjoyment and much more scholarly confidence than they could before. This edition will certainly establish itself as a key resource for the teaching and study of a poem which has attracted increasing interest in recent years. It is an edition which sets out to meet the requirements of a different generation from that which Timmer served. This is an excellent book, full of interesting and absorbing material. Particularly to be admired is Griffith's ability to be both erudite and literate in his presentation of often rather dense detail. This is a superb contribution to Old English scholarship, packed with useful and new information, attractively presented and priced. Judith, a lively narrative poem, has finally found an editor responsive to its charms, one apparently incapable of thoughtlessness, neglect, or unkindness. Much devotion has gone into the making of this edition, along with impeccable judgement. ... Griffith is probably unmatched in his sensitivity to and appreciation of the sounds, syntax, and style of Judith. And he makes at least as many original observations as there are lines in the poem... In this new edition, the poem—in all its comic inventiveness and flouting of convention—is more alive and appealing than at any time in the three-hundred years since it first appeared in public. ... Mark Griffith's excellent new edition ... His ninety-three-page introduction is a model guide to the major technical areas in Anglo-Saxon studies: codicology, language, dating, source-study and metrics (including a brilliantly lucid exercise in the analysis of metrical grammar, the area which perhaps offers the most stimulating contribution to stylistics in the modern analysis of Old English) ... He has set a new benchmark for producers of modern editions of the Old English poems. It seems fitting to express gratitude also for this whole series, in which Methuen and now Exeter University have supplied many valuable editions of Old English texts.